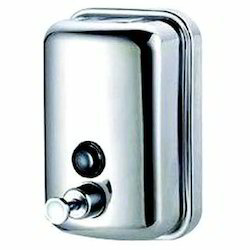 We are engaged in manufacturing and supplying a wide range of Soap Dispensers, which is widely used in hospitality sector and corporate houses. These are reusable and refillable to provide the reusability and trouble free operations of the dispensers. 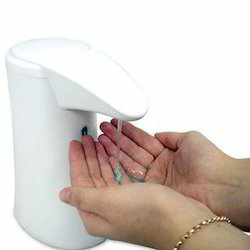 Our company is engaged in providing auto soap dispensers, which are clean, hygienic and convenient. The dispensers are manufactured using most advance technology and thus ensure no leakage, dripping or mess as well as are equipped with sensors that reduce wastage of any kind. These are preferred by numerous clients owing to excellent performance and easier operation. We are offering S.S soap dispensers, which is manufactured using quality grade raw material such as plastic, stainless steel and ABS. These are reusable and refillable to provide the re usability and trouble free operations of the dispensers. Our range is widely catering to the requirements of various applications in diverse industries.